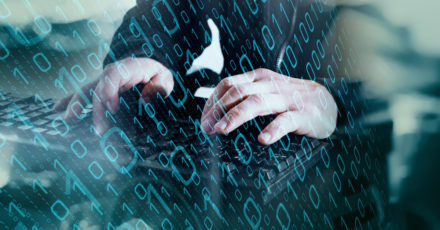 If you thought cyber attacks were already unavoidable, learning that cybercriminals are now automating their attacks probably doesn’t give you much hope for the future of cyber security. Cybercriminals are taking attacks to the next level by having machines do their bidding. The damage to critical systems, businesses, and the individuals within them could be devastating, which is why configuring your systems for heightened security is on the short list for many IT professionals. While notable companies, including Dunkin Donuts, have already been hit by automated cyber attacks, they aren’t confined to big businesses. Even small- to medium-sized businesses are being exploited, you’re just not reading headlines about it. The biggest companies within the antivirus protection industry have taken note, saying 2019 will be the breakout year for artificial intelligence-based attacks, and it’s a scare tactic to generate more business — it’s already happening. The most obvious and frequently exploited weakness in any organization is the passwords employees use to gain access to your system. The tools hackers develop to guess passwords have become increasingly more effective. You can think of every possible avenue through which hackers can get into your system and develop layers of security solutions, but if password hygiene isn’t part of your education program for your employees, it won’t protect you. Chatbots are saving companies a lot of money, but they can also fall victim to input manipulation where the hacker infects it with malware and makes it work for them, gathering your information and taking it places you don’t want it to go. Furthermore, cybercriminals have developed chatbots of their own, through which they can inflict great damage as they impersonate legitimate chatbots. Don’t risk losing your data — take steps to limit your exposure to these attacks. Begin by utilizing secure cloud platforms to house and access your critical assets. Partner with a managed security service provider to assist you in safeguarding your information. Boost your password hygiene efforts with two-factor authentication, and frequently visit your cyber security plan, because a stagnant one is vulnerable as hackers continue to evolve. If you’re looking for an agent that has a line on the latest cyber attack solutions, contact us at Truth Comm. We help our clients stay ahead of the technology curve and clarify the latest in business technology. If it’s a cost-effective, strategic decision about technology that you need, we’re your agent.